Proximity to ocean, balcony with view, washer, dryer, fans in every room. 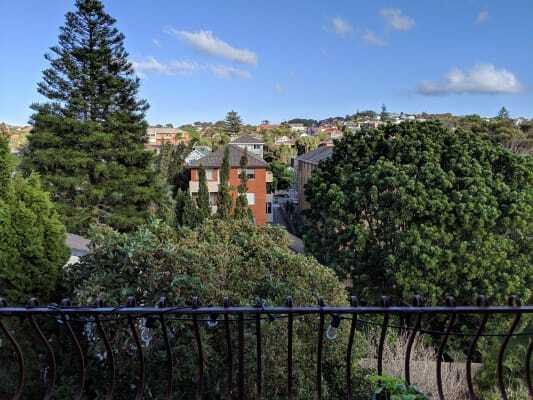 Room available in top floor apartment situated in the leafy, residential area of Clovelly. A stone's throw from Gordon’s Bay, Clovelly beach, cafes and restaurants nearby, it’s a pretty great spot to be situated if coastal living is what you seek. Ideally we'd welcome a respectful young professional or student looking to take advantage of the proximity of the ocean. 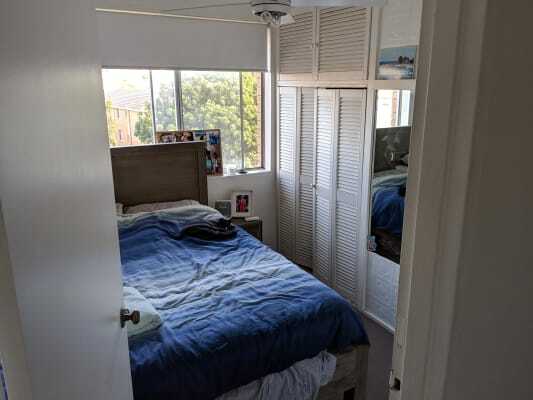 The room is on the small side, but has built in storage. You'd be sharing a restroom (shower with separate bath) with Lindsay only, as Philip and Abi have theirs. We expect 4 weeks rent ($1280) in advance in addition to a $1000 bond. Internet is approx 15$ per month, Gas is $20 per month. As a flat, we are a relatively quiet and easy-going group yet show mutual respect towards one another and the apartment. We’re looking for someone who shares our ethos when it comes to cleanliness and social interaction. Communication is key when it comes to matters of the apartment including; guests and use of shared amenities. Should this sound like a good fit for you, you’d be sharing the apartment with three other young professionals in their mid-late twenties. An international couple, Abi (26, UK) and Philip (29, Canada) and Lindsay (29, Aus). Both Lindsay and Philip are engineers and keen surfers, they get to the surf as much as they can throughout the summer weeks. Abi is a Yoga Teacher. No druggos, no smokers. Building has a no pet's policy unfortunately. to view social media content. Facebook is only available to Philip's extended network.